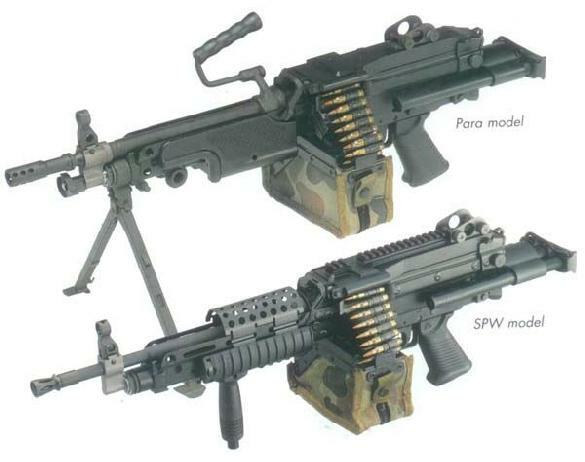 The PARA and SPW are special versions of the FN MINIMI Light Support Weapon, known in the USA Military as the M249-SAW. Both of those feature a collapsing stock instead of the usual fixed one. The PARA version features a carrying handle and a "standard" under-barrel hand guard with a folding bipod. The SPW version features a Weaver rail AND an under-barrel RIS system, equipped with a fore grip.